Dr. Oz believes that to makeover yourself, you need to makeover your kitchen, your recreation and even your relationship with your doctor. You start with your refrigerator. The good doctor has a “rule of five” that can help you to purge foods from your home that accelerate aging and build fats. The rule states that you should rid yourself of any food that has simple sugars, syrups, processed flour, saturated fats and trans fats within the first 5 ingredients on the label. This will open up a lot of shelf space, in most cases. You refill these sad-looking blank spaces with fresh produce, whole grains and lean protein. You’ve already improved your life! Now that you have a home full of healthy food, eat less of it. Not a lot less, but around 100 calories a day less. You can skip a snack, pare back your serving sizes or even (gasp) focus on vegetables. Just 100 calories a day can translate to 12 pounds a year. Who wouldn’t like to lose 12 pounds? To help reduce your daily calorie intake without feeling deprived, Dr. Oz recommends changing your dinner plates. That’s right, your dinner plates are making you fat. By getting rid of your typical 12-13 inch diner plates and replacing them with svelte and sleek 9 inch plates, you will naturally reduce your portion sizes and lose weight. The Dr. Oz Ultimate Diet recommends that you expect the unexpected. Plan for emergencies, food emergencies, that is. Prepare (or purchase) snack sets and grab-and-go meals that fit your new approach to food. That will make a last-minute dash to the fast food establishment unnecessary, and that’s a good thing! Dr. Oz also suggests that your support system is critical to success with his Ultimate Diet. 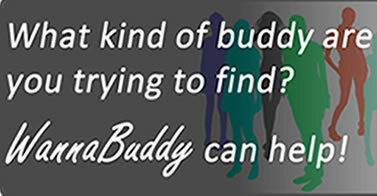 He suggests recruiting a diet buddy (always did like Dr. Oz) for support and encouragement. He suggests that daily contact is best, to stay accountable and motivated. We couldn’t agree more! Once you have that diet buddy, Dr. Oz suggests that you adjust your daily routine to include 10,000 steps a day. Taking a brief walk with your buddy gets you closer to 10,000 steps, as does taking the stairs instead the elevator, and parking further from the front door of the office or store. A little creativity gets you to 10,000 steps faster than you think. And finally, Dr. Oz suggests changing your relationship with your doctor. Don’t reserve doctors’ visits exclusively for when you’re ill. Make an appointment when you are feeling great. Instead of describing that nagging cough, you should describe your diet and exercise. Check up on your blood pressure, cholesterol, blood glucose and iron and vitamin D levels. This preemptive maintenance can avoid trips to the doctor later when a small problem has become a large one. 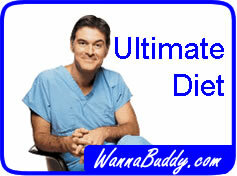 The Dr. Oz Ultimate Diet is a diet for life. He suggests that you follow these strategies for the rest of your life. If you do, you will be healthier, feel better, lose weight slowly and never again have to face a crash diet. Sounds great!